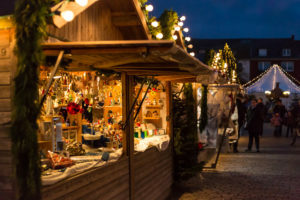 The second largest city in Bavaria, Nuremberg is a glowing testament to medieval culture as evidenced in its historic monuments, Gothic churches and elegant patrician houses. Take a walk around the 13th-century city walls, complete with moats, watchtowers and gateways. 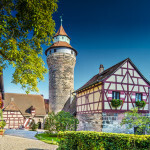 Then experience “shopping” as it was in the Middle Ages at the Handwerker Hof, a charming “medieval mall”. Don’t forget to sample the city’s famous Bratwurst. 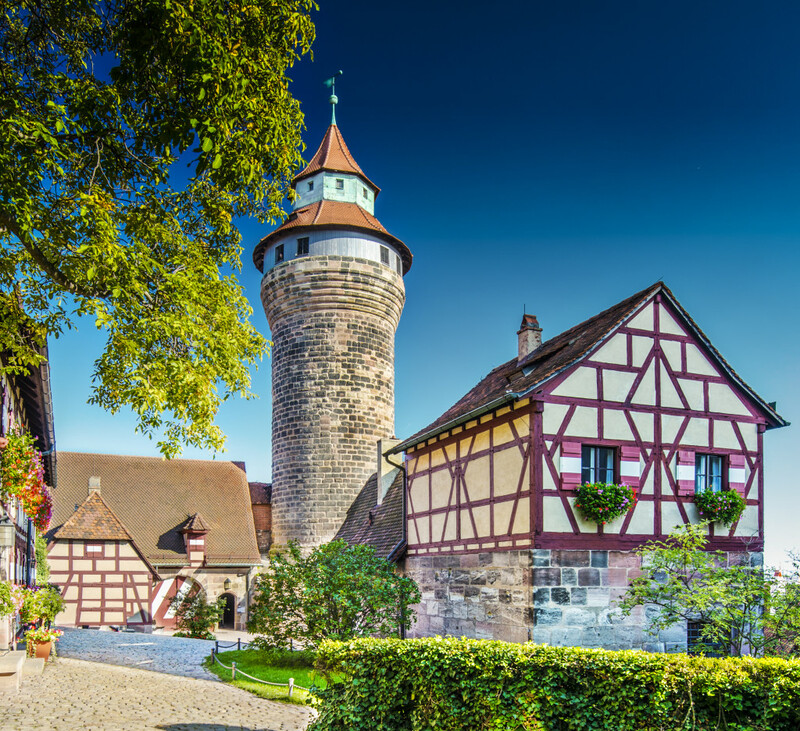 Those interested in history will want to visit the Nuremberg Palace of Justice, where the famous WWII Nuremberg Trials took place, the Reichsparteigelande museum and the German Railway Museum.